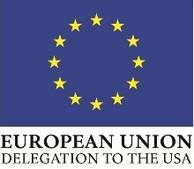 In a certain sense, both instruments have been "adopted" by Americans. The accordion originates from the first half of the 19th century in Europe where it soon became an iconic instrument of Slovene traditional music. 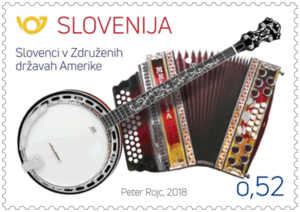 Slovenes emigrating to the U.S. at the turn of the 20th century brought it with them and soon developed their own version of polka music, known as the Slovenian-style or Cleveland-style polka. But the popularity of this genre of dance music went beyond just Slovene communities. Other Americans took a liking to it, too. Please send your answers to: sloembassy.washington(at)gov.si by December 15. The winner of the First Day Cover of the above stamp will be drawn from the lot of correct answers.